The world is a noisy place and there are very little chances that we will be remembered. These words of the late Steve Jobs precisely define the power of truly immortal customer experience. The greatest measure of brand success that Steve accomplished for his brand and for himself is best gauged from the fact that customers continue to remember Steve and revere all those moments and touch points that brought them into close contact with Apple. Like Steve, all salespersons at trade shows chase the moment when customers shall fall for their brand. Salespersons at trade shows have a rather challenging job of creating a customer experience worth remembering amidst the noises of rival brands, contrasting color codes of trade show exhibits, use of digital display boards and the sea of visitors. Opposed to the conventional wisdom of brands resorting to big bang tactics to steal the limelight from competitors, great brands resort to a gradualist and phased out approach to creating long-lasting customer experiences, with each phase progressing naturally into the consecutive one and being easily distinguishable. Even as customers enter the premises of a trade show and walk towards the isle consisting of a series of trade show booths, they are faced with stereotyping. What is so unique about the second booth? How is the second booth different from the first one? Customers do not fall for the product in the first instance. They fall for an idea. 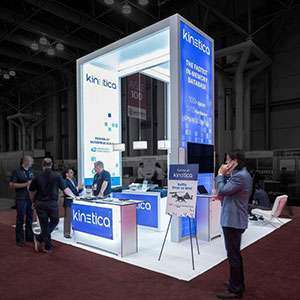 The trade show booth design must convey a unique idea at a glance, in the split second that the customer bats an eyelid and before the very next second when he decides to move on. The customer may have liked the idea that the booth conveyed at first sight. He may look once and even as the distractions in the background get louder and distinct, his mind may flap wings like a butterfly, stretch out and fly away in search of the next big idea. The wanderlust inherent in the psyche of a customer is reflective of the abysmal attention spans that humans have. Make an offer that is just enough to entice the customer to walk into the booth. If it is summer, a free bottle of water shall be fine. If drenched in uncertain monsoons, a cup of coffee is a great starter of conversations to come. What does the storefront say? To rephrase, what does the front view of the trade show booth reflect? Opt for a trade show booth rental that optimizes the use of the space available at the front. Ensure that the brand logo is visible from a distance and that the booth staffers are looking towards the direction customers are likely to walk in. Deploy scalable immersive technologies to enable the customer to imagine the feel of owning the core product. Passion penetrates straight through the barriers of noise. Customers listen when brands speak from their heart. First impressions of people matter. Observe the customer. What does he want? When ice breaking, strike the balance between inquisitiveness and humility to inquire what caught his attention. A booth staffer’s uniform, a batch or dress code is a catchy way for salespersons to introduce themselves and the brand to the customer. Remember it is people first. Who is the customer that walked into the booth? He may be a decision maker, a consumer, a distributor, a retailer or a power broker with the ability to influence decisions to buy or invest in the brand. The business cards are passé. Keep a tablet with a basic mobile application ready to allow the customer to swipe, answer some quick questions and get going with the lead generation. That’s right. Once the customer is inside the booth, he should be the one owning the experience of the meeting. Arrange the trade show booth rentals like banners, LCD screens, exhibits and the furniture strategically facing the customer. Let the brand be in the background facing the customer and set the agenda of the meeting. The customer should not just learn the value proposition. He must discover it. Offer a few rare insights on the functionality, performance or features of brands and what it means. The Eureka insight should make the customer feel that he has discovered something unique and that he shall return more intelligent and informed than before. The customer experience does not end in a meeting at the trade show. 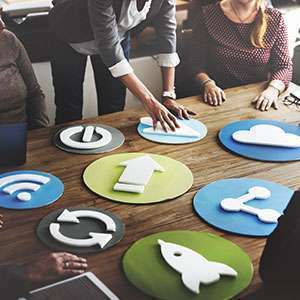 It can continue and spill over into many meetings, as long as the booth staffers take the initiative to make the customer realize that the latter is important. Ask for a photograph with brand accessories and booth rentals forming the background, to be posted on Facebook, Twitter or Instagram handles in a B2C context. Ask for a following on LinkedIn in a B2B context. Mention the customer to highlight the brand’s professional association with the customer. Everything is a sacrifice to our memory and brands must realize that a great trade show customer experience is the key to generating brand recall and joining the dots from trade show participation to sales enablement.